The Falconry has begun in earnest. 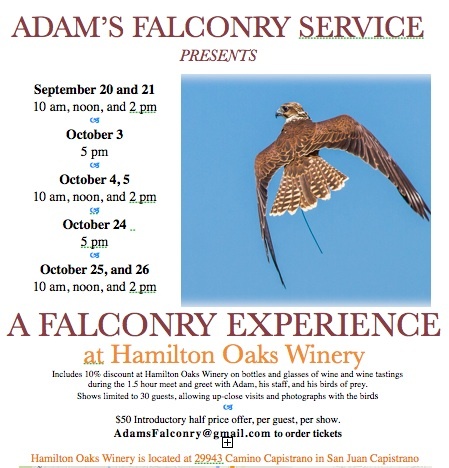 See below for the first in a series of bird related activities offered by Adam’s Falconry Service. Especially now that I am officially on the crew. Click Here. This entry was posted on Friday, September 12th, 2014 at 4:15 pm and is filed under Uncategorized. You can feed this entry. You can leave a response, or trackback from your own site.